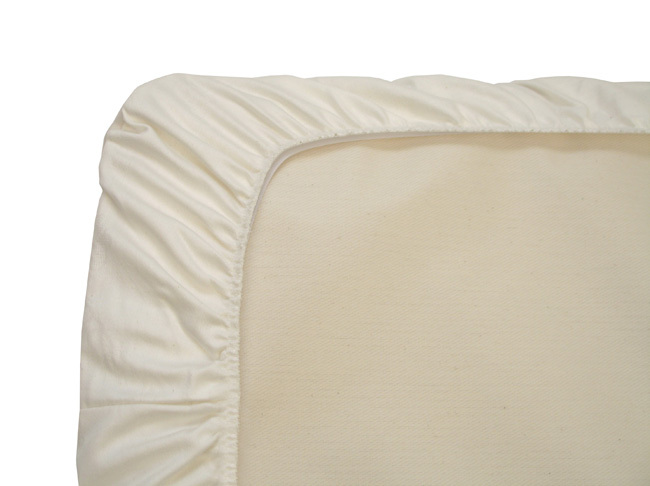 The Naturepedic Organic Cotton Protector Pads are perfect for keeping baby's mattress soft and clean. 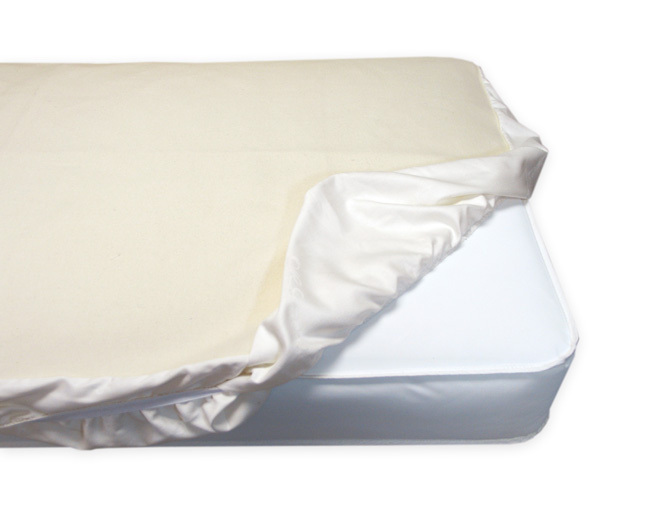 The waterproof pad features two layers of luxurious organic cotton flannel with an ultra-thin waterproof membrane in the center for an absorptive and comfortable sleep environment. 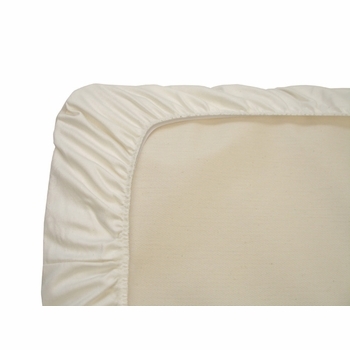 The non-waterproof pad has two layers of certified organic cotton flannel - top and bottom and is highly absorptive and extra soft. Naturepedic is a GOTS certified organic bedding manufacturer and has earned the trust of moms and doctors across the country. Naturepedic also meets the strictest GREENGUARD� certification standards for eliminating chemical emissions. This pad makes an excellent choice for parents seeking to remove potentially harmful chemicals from their child's sleeping environment. 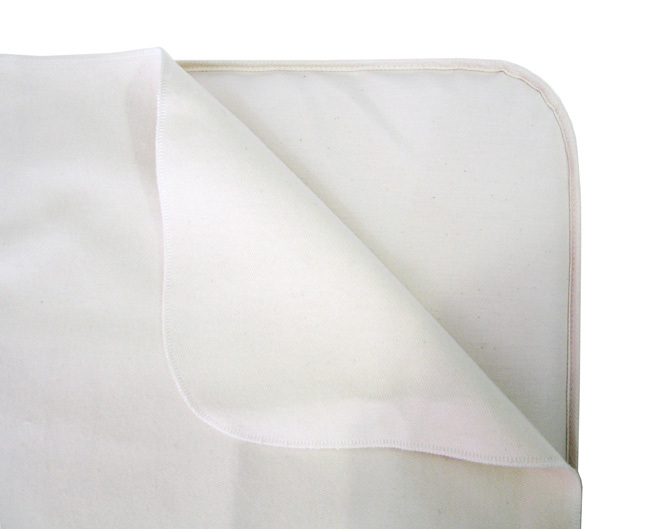 Two layers of certified organic cotton flannel - top and bottom. Organic Cotton is an ideal material that is both natural and renewable. It is a healthier alternative to synthetic fibers such as polyester and rayon while avoiding less desirable materials such as allergy-prone wool. 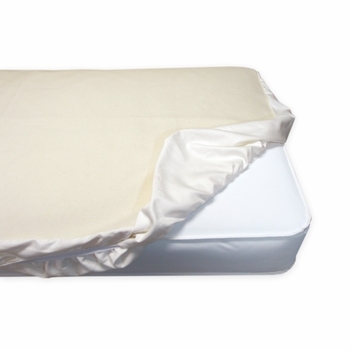 Safe hypoallergenic design free from harmful chemicals ◦Waterproof pads have barrier is impenetrable to bed bugs, dust mites and other allergens ◦No vinyl/PVC, phthalates, PFCs or antibacterial/biocide treatments. 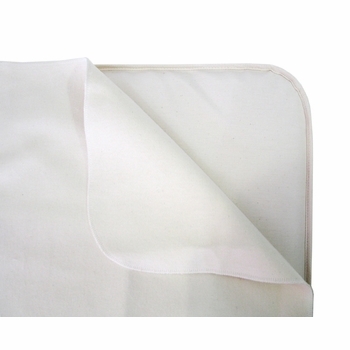 Available in Flat and Fitted pad design Increases versatility and is held in place by sheet.